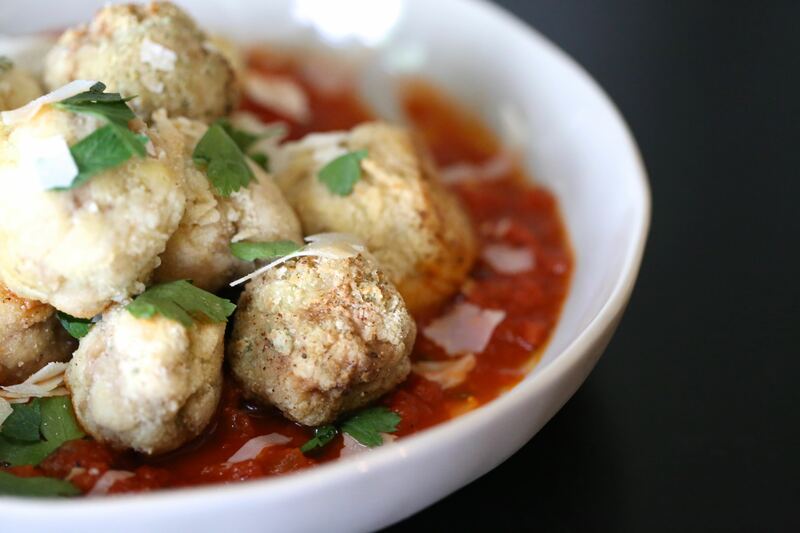 Tired of the same ol’ dinner rotation?! I get that way too! 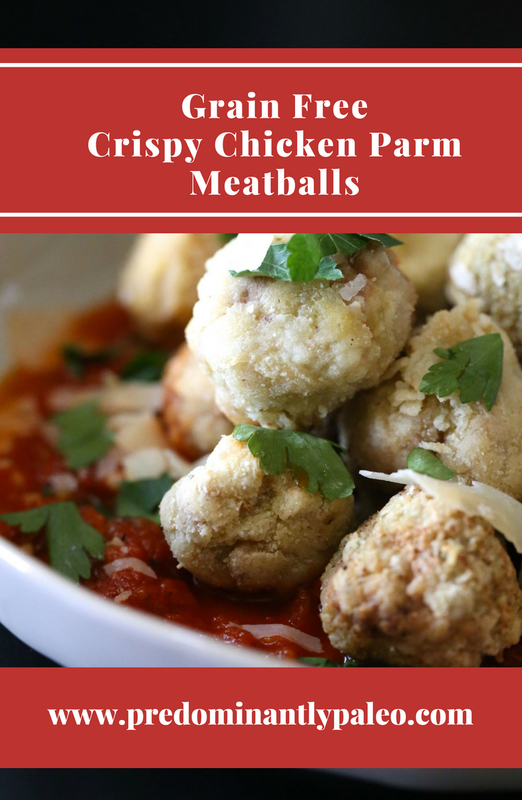 Check out these Grain Free Crispy Chicken Parm Meatballs for a fun and flavorful twist on the mundane! Got the chicken breast blues?! Sometimes dinner feels like a real chore and I’m the first to seek out the change that makes it just a smidge more exciting. A couple weeks ago I was telling y’all about my Goldberg’s obsession and how I wanted to recreate Bev’s shrimp parm. After all was said and done I ended up making this Crispy Gulf Fried Shrimp paleo style and it was fantastic. But I was still dreaming up something a little saucier! 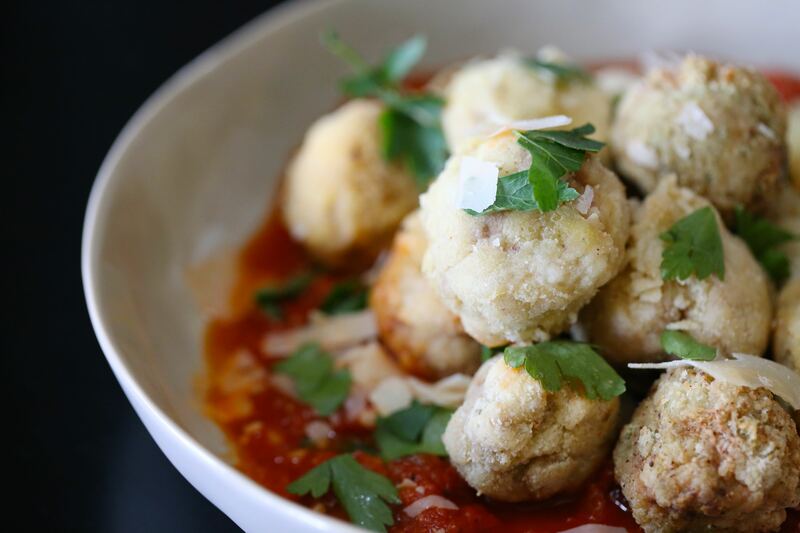 I made these Grain Free Crispy Chicken Parm Meatballs to finally fill that void and decided on the meatball delivery system because truth be told, finger foods are just more fun. 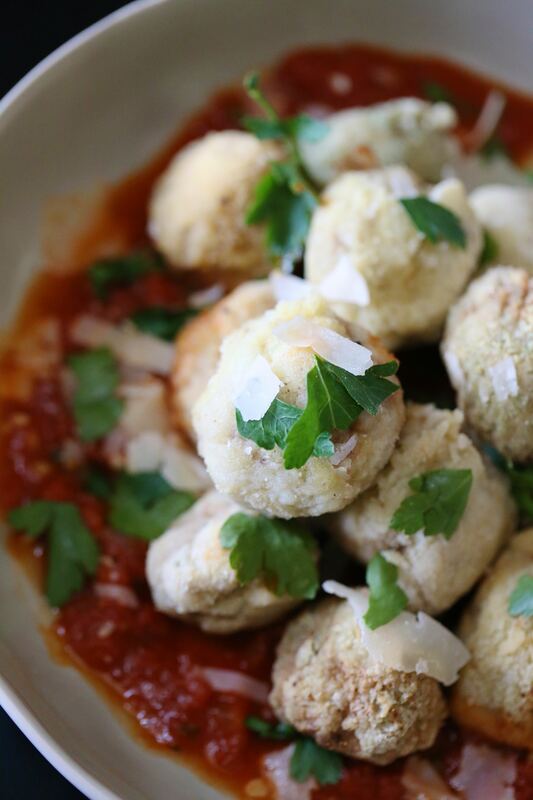 Plus it’s Summer which means parties and appetizers (my favorite food group), so grab your toothpicks and marinara sauce and let’s get started! I made two options to accommodate nut allergies. You can use almond flour or ground pumpkin seed if you prefer. I do not have any other information on subs for you so if you experiment, let me know what works! When made as is, they are delicious and have a thin crispy crust just perfect for dunkin’ in sauce! This looks great! I have used similar recipes using ground clean pork rinds so that might work here too. Also, back in my pre-paleo days I have used ground Parmesan cheese as a breading which gets crisp. If dairy isn’t an issue, I would use the Parmesan cheese option too. I bet my picky kids would like this. Thanks for providing quality recipes.